Blocked drains in Pershore can result to a foul smell and be a major health hazard. At Genesis Drainage, we have been working to unblock drains for the past 40 years. We have built our knowledge and practices to ensure that we are able to give our customers the best and most reliable service. We believe that there is no blocked drain that is too big for us. We have the experience and the equipment to take up any blocked drains Pershore challenge. Our 24/7 emergency call out service ensures that you’re able to get our help regardless of what time you need drain unblocking in Pershore. It does not matter where the drain blocking has occurred. In the past, we have worked on private and commercial buildings alike and are able to assist in both scenarios. We work fast to reduce inconvenience and get out of your hair before you know it. Our team of friendly and professional members is well trained and understands all types of blockages and how to handle them. Our clients are our priority and we are always more than ready to take the extra step to make sure that they are happy with our services. We employ the best and most modern technology like CCTV Drain Surveys to help us identify the cause of the blockage and get rid of it quickly. We are dedicated to providing our clients with the best services possible. With the 40 years of experience that we have under our belt and our well-trained in-house team, drain unblocking in Pershore has never been this easy. 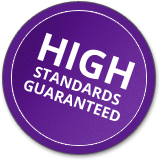 We do our drainage unblocking to high standards and we will always be more than ready to go the extra mile for our clients. Other than being able to handle all of your blocked drains problems, we are also able to conduct other services like drainage jetting and drain surveys. If you have further questions, you can reach out to us today and our team of highly trained professionals will be more than ready to help you. Round the clock service – we are available at any time of the day or night. We understand that blocked drains in some cases happen without a warning and you need to get help as fast as possible. Without 24/7 callout service, you will be able to get a member of your team at your door in no time and have the situation resolved. Experience – we have more than 40 years of experience. Over this period, we have handled a wide range of blockages requiring different tools and expertise. We have been able to sharpen our knowledge and build on the best methods to approach different situations for the best results. With us, no matter how small or big the blocked drain is you can be sure that you will get the best results. Affordable and professional – we take our work very seriously and our clients even more seriously. We charge only for the services that we have done and not a cent more. We have very competitive rates to ensure that you get the most value for your money.